I learned how to make peanut butter cookies when I was eight or nine years old. 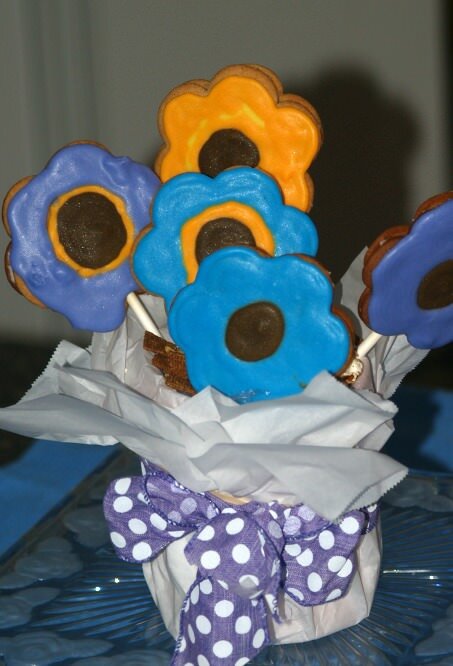 These cookies were one of my first recipes to learn. The other cookies were oatmeal and on occasion chocolate chips. I say “on occasion” because I had to talk “long and hard” to get Mom to buy me a small package of chocolate chips. You might say that chocolate chips were a “luxury” around our house. I would say I have made peanut butter cookies more than any type of cookie. Since I learned how to make peanut butter cookies I quickly realized that this is probably the favorite type. It seems to me even more so than chocolate ones. Every time I have asked “What kind of cookies should I make” the answer has been “peanut butter”. Today I am not surprised because people also love peanut butter candy, bread, cake, frosting, etc. What really has surprised me is how great peanut butter taste with so many other ingredients. Back when I first learned how to make peanut butter cookies (Of course, I was very young), it was with a simple basic recipe with “creamy” peanut butter. Sometimes I would sift powdered sugar over the top for a little extra sweetness. After a few years of making these cookies, I talked Mom into buying “crunchy” peanut butter for me to try. I loved the crunchiness! When I only had creamy I would add chopped nuts if we had them. Back when I learned how to make peanut butter cookies I never realized how many other ingredients are great with this flavor. I could have found some of these ingredients in our pantry, at least part of the year. Raisins are a delicious addition to peanut butter. Oatmeal is also and we almost always had these in our pantry. In the Fall we had apples most of the time and apples are wonderful with peanut butter. 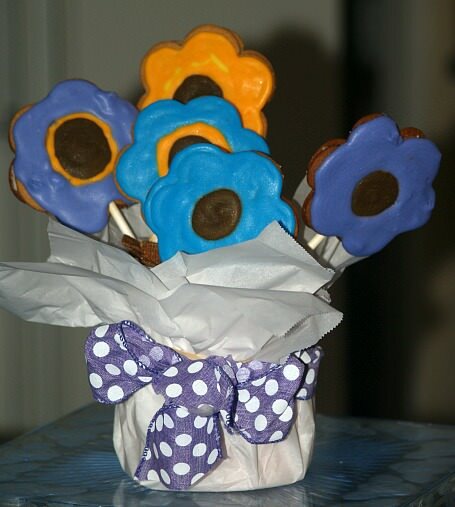 Of course, chocolate is good with almost all cookies or any baked goods. I simply want to encourage you to try any of your favorite ingredients, perhaps coconut, when you are learning how to make peanut butter cookies. Have you ever eaten apple slices spread with peanut butter? 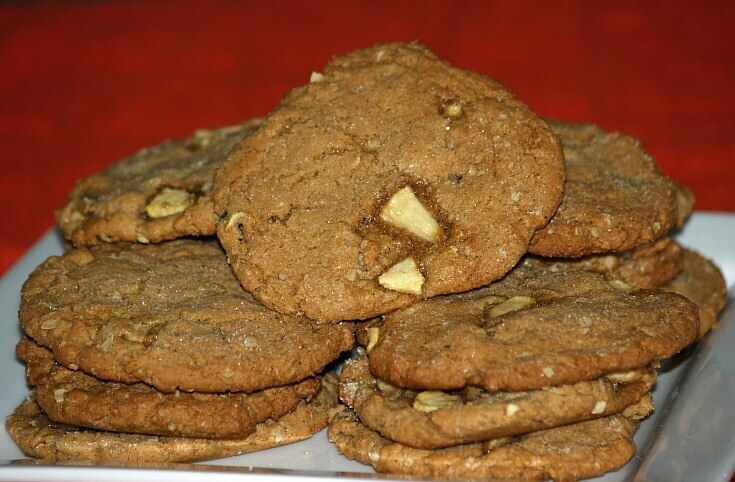 Learn how to make peanut butter cookies and enjoy the same combination of flavor. Sift together flours, baking soda, cinnamon and salt; set aside. Cream butter, peanut butter and sugars; mix in eggs and vanilla. Add dry ingredients to creamed mixture; mix in oats, apple and raisins. NOTE: At this point I mix well using my hands. Shape ¼ cupful of the dough into balls; place on parchment lined baking sheets. Flatten balls slightly with bottom of glass dipped in sugar. Bake for 12 to 15 minutes; cool 1 minute on trays and then move to rack to cool completely. Makes about 18 to 20 cookies. Learn how to make peanut butter cookies with the added flavors of chocolate and toffee. Combine half of dry cake mix, peanut butter, butter, water and eggs in a large mixing bowl; mix until smooth. 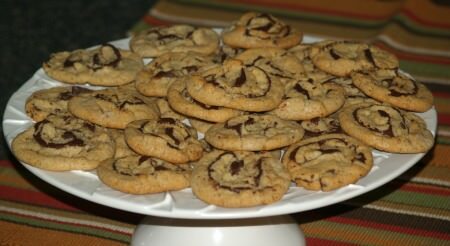 Stir in remaining cake mix and candy; drop dough by ¼ cupfuls 3 inches apart on ungreased cookie sheets. Flatten slightly with fork dipped in flour; bake 11 minutes until golden brown. Cool slightly on tray; remove from pan to cool completely. Learn how to make peanut butter cookies filled with jam or jelly. Beat peanut butter and shortening in a bowl with electric mixer on medium speed until creamy. Add half of flour, egg, milk, sugar, baking powder, vanilla and salt; beat until blended. Beat in remaining flour; divide dough in half; cover and chill for 3 hours. Shape dough in 1 inch balls; roll each in sugar and place 2 inches apart on ungreased cookie sheets. Press center of each ball with your thumb; bake 7 to 9 minutes until bottoms are lightly browned. Transfer to rack to cool completely; before serving fill center of each cookie with ¼ teaspoon jelly. When learning how to make peanut butter cookies try the delicious combination of butterscotch with peanut butter. 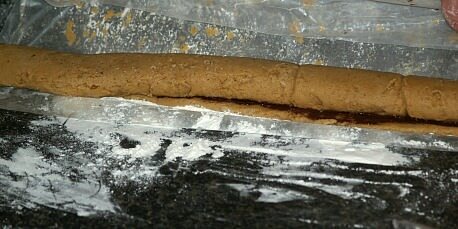 TO MAKE CRUST combine brown sugar and butter; mix in flour. Press crust dough in bottom of ungreased 9X13 inch baking pan. TO MAKE FILLING combine sugar and corn syrup in saucepan; bring to a boil. Remove from heat; stir in butterscotch chips and peanut butter stirring until melted. Fold corn flakes into mixture; spread over the crust. Bake for 15 minutes; cool before cutting into 24 squares. 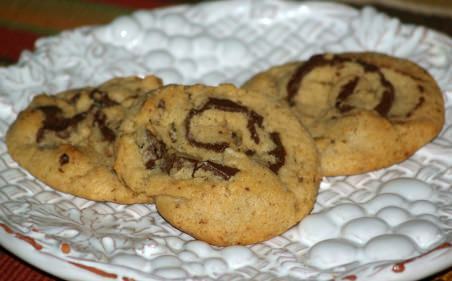 Learn how to make peanut butter cookies with this “marbled” recipe. Melt chocolate chips in a small saucepan stirring until smooth; set off to cool. Beat butter and peanut butter with electric mixture on medium speed until creamy. Add to creamy mixture half of the flour, ½ cup sugar, honey egg, soda, baking powder and vanilla. Beat mixture until well blended; beat in remaining flour. Drizzle melted chocolate over the dough; with knife cut chocolate through the dough. Place dough in refrigerator about 1 hour. Shape dough into 1 inch balls; roll in sugar and place 2 inches apart on ungreased cookie sheets. Flatten balls with bottom of a glass; bake 7 to 9 minutes until bottoms are slightly brown. Place on wire rack to cool completely; makes about 36. When learning how to make peanut butter cookies you can never go wrong by adding some chocolate. Combine and mix peanut butter, powdered sugar, coconut and corn syrup in a bowl. Add cereal to bowl and blend well; shape mixture into 1 ½ inch balls. Roll balls into logs about ½ inch in diameter and place on wax paper covered tray. Place in refrigerator while melting chocolate. Heat shortening and chips in 1 quart saucepan over low heat stirring constantly until smooth; cool. Dip one end of logs into chocolate; place on wax paper lined tray. Refrigerate until firm; store in refrigerator. You can use your favorite cutters when learning how to make peanut butter cookies with this recipe. In a large mixing bowl cream butter and peanut butter. Add brown sugar, corn syrup and egg; beat until well blended. Reduce speed and beat in 1 cup flour, cinnamon, baking powder and salt. By hand stir in remaining 1 cup of flour; divide dough in half. On a large cookie sheet between 2 sheets of wax paper; roll each half to ¼ inch thickness. Refrigerate on tray until firm about 1 hour. PREHEAT OVEN TO 350F degrees; remove top sheet of wax paper. Cut dough in desired shapes; place on ungreased cookie sheets. Bake 10 minutes or until lightly browned; move cookies to rack to cool completely. Reroll dough trimmings and cut into cookies; decorate cold cookies as desired. Learn how to make peanut butter cookies with a peanut butter filling. In large bowl combine flour, baking soda, salt and sugar. Cut in shortening and ½ cup of the peanut butter with pastry blender until coarse crumbs. 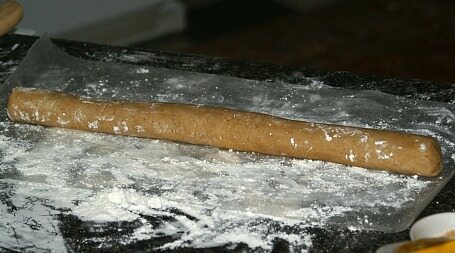 Stir corn syrup and milk into mixture; shape dough into a 12 inch roll and wrap in wax paper. Chill roll about 2 hours; PREHEAT OVEN TO 350F degrees. Unwrap roll and cut into ¼ inch slices; place half of slices on ungreased cookie sheet. Spread each with ½ teaspoonful of peanut butter; top with another cookie slice. 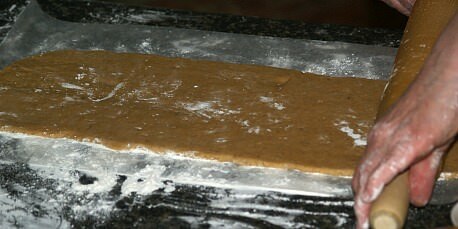 Seal edges by pressing around edges with fork; bake 10 to 12 minutes until lightly browned. Cool completely on wire rack; makes about 2 dozen. Learn how to make peanut butter cookies with this easy recipe. Slice cookie dough into ¾ inch slices; cut each slice into quarters. Place each quarter into a lightly ungreased mini muffin tin; NO SHAPING NECESSARY. Bake 8 to 10 minutes (Dough will rise; remove from oven. Immediately press a miniature peanut butter cup gently and evenly into each cookie. 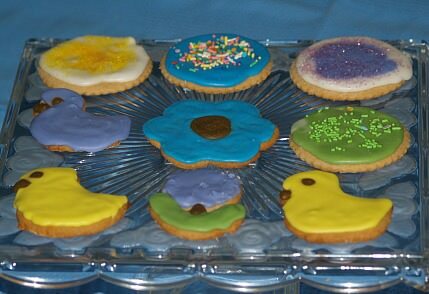 Cool cookies before removing from pans; refrigerate cookies until firm. Cream shortening and peanut butter together; beat in sugar, egg and vanilla. Sift together flour, baking soda and salt; add dry ingredients to cream mixture with milk. 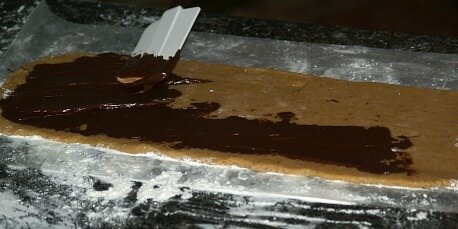 Roll out dough to a rectangle ¼ inch thick; spread melted cooled chocolate over dough. Roll up in “jelly roll” fashion; chill for 1 hour. Slice with a sharp knife into 1/8 inch thickness; place on ungreased baking sheet. Bake 8-10 minutes; make 5-6 dozens. Combine the raisins, dates, banana, peanut butter, water, eggs and vanilla in a large bowl. Stir until very well blended; add oatmeal, flour and soda and mix thoroughly. Drop by teaspoonfuls onto parchment lined baking sheets; flatten slightly and bake about 10 minutes. Cool completely on wire rack. Learn how to make peanut butter cookies the plain way. Combine flour, baking powder, soda and salt; set aside. In a large mixing bowl combine butter and peanut butter; beat until creamy. Add sugars and beat well; beat in eggs and vanilla. Add flour mixture and beat until blended; cover bowl and refrigerator at least 1 hour. Shape into 1 inch balls; place 2 inches apart on ungreased cookie sheets. Dip a fork in sugar and flatten; bake 12 minutes or until lightly browned. Move cookies to cooling rack or to surface lines with paper towels; makes 6 dozen. OPTIONAL: When cooled dust with sifted powdered sugar.